Preventative Dentistry - Dental cleanings, exams, X-rays, gum disease treatment and oral cancer screenings. Restorative Dentistry - Bridges, crowns, dentures, dental implants, fillings, root canal therapy, tooth extraction and TMJ therapy. Cosmetic Dentistry - Invisible braces, teeth veneers and teeth whitening. When you visit us, our complete focus is on you and providing you with the highest quality, gentle dental care you need in our modern and comfortable office environment. Our practice is 100% committed to excellent customer care and delivering the best quality service in a gentle and friendly manner. Each time you visit our office, we want you to have a pleasant and relaxing experience whether you’re visiting us for a routine cleaning or a more complex procedure such as dental implants. From the staggered ceilings to the colors of the walls and carpet, we’ve designed our office with patient comfort in mind. Our patients often comment about how comfortable and relaxing our office is and how they pleased they are with the very personalized service they’ve received. As our patient, we will take the time to answer all your questions and address your concerns, to help you take good care of your teeth. 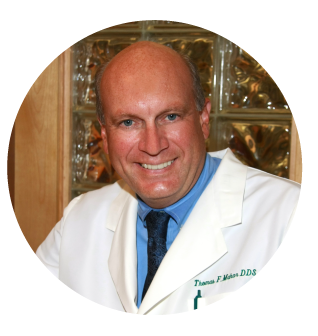 Description:Dr. Mahar and our dental team are pleased to welcome you to our Syracuse, NY dental practice. We've created a video so you can get to know us and understand our practice philosophy. Dr. Mahar and his amazing team of dental professionals proudly provide a wide range of dental services to patients of all ages! Whether you’re looking for a dentist to provide your family with the preventative dental care they need to keep their smiles healthy or need a cosmetic dentist to whiten and brighten your own smile, we welcome you with open arms to our practice! To schedule an appointment with Dr. Mahar, please call our office at (315) 766-2770 or request an appointment online. We look forward to seeing you soon and providing you with the personalized, high quality dental care you deserve!